Hello, I am Jodie Jeffery and I am the SHAREArgyll Ambassador for Oban High School where I currently attend as a senior student within Oban. Before pursuing the role of being a SHARE ambassador I was actively seeking out ways of contributing to those in less fortunate situations than my own in an effort to create a positive impact within society. Hence, I sought out this ideal opportunity through my work placement at Oban’s only local food bank, ‘The Hope Kitchen’ which provides essential means of survival to those in need. Before I knew of SHARE, I felt my contributions towards others were very insignificant and pointless, therefore, this position would provide me with the means of creating real changes through a platform working with a small group of like-minded individuals with the same aims as myself. 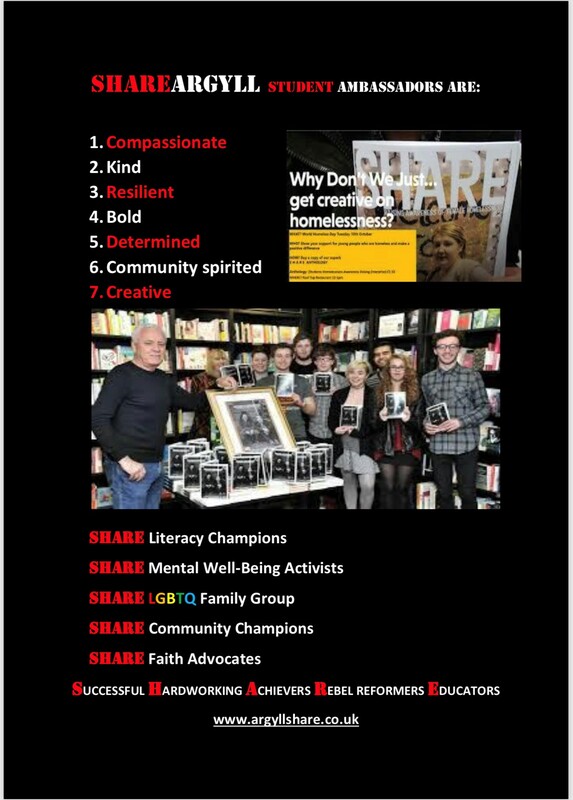 My goals and objectives as the Share Ambassador for Oban High School are to ease the idea of homelessness by slowly engaging in talks and organising events within the community of Oban to get the conversation alive. Throughout this project, I hope to gain a range of new skills such as: becoming more confident in public speaking, successfully advertising, organising and participating in events to raise awareness for homelessness and also to work effectively within a team. Homelessness within Oban is currently not a very publicised issue and many individuals are completely unaware of the homeless crisis, therefore taking on this role as the SHAREArgyll Ambassador is a crucial first step to ensuring the future of those who are homeless within Oban and beyond. 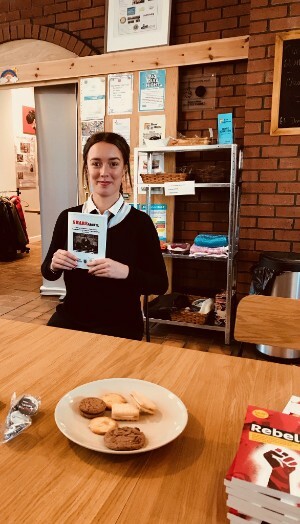 As well as being our SHAREArgyll student ambassador, Jodie is a valued member of our SHAREHope creative action arts group based at Hope Kitchen, Oban. Along with fellow senior student Anna-May Woodhouse (photographer), Jodie is involved in helping to raise essential awareness about rural homelessness through positive creative dialogue and the two students bring a vibrant dynamic relevant youth voice to the project.